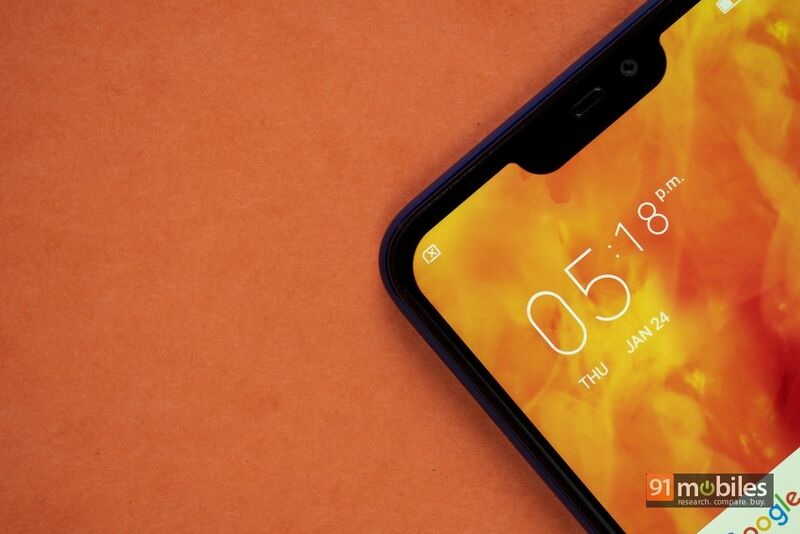 The smartphone industry seems to be at a crossroads when it comes to the display notch design, with the most glaring dilemma being to notch or to not. 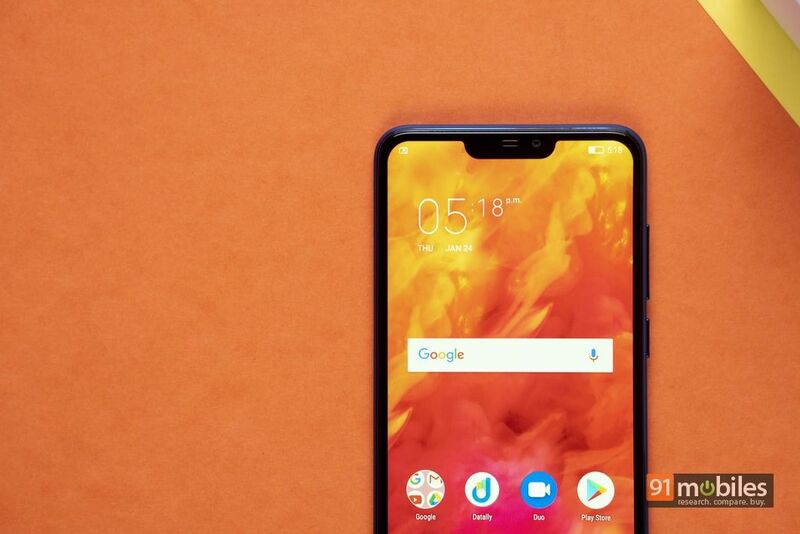 While high-end smartphones are moving towards motorised parts and display piercings, more affordable offerings are lapping up the display notch. Because like it or not, the display cutout is still somewhat of a novelty and at an attractive price point it becomes a selling point. 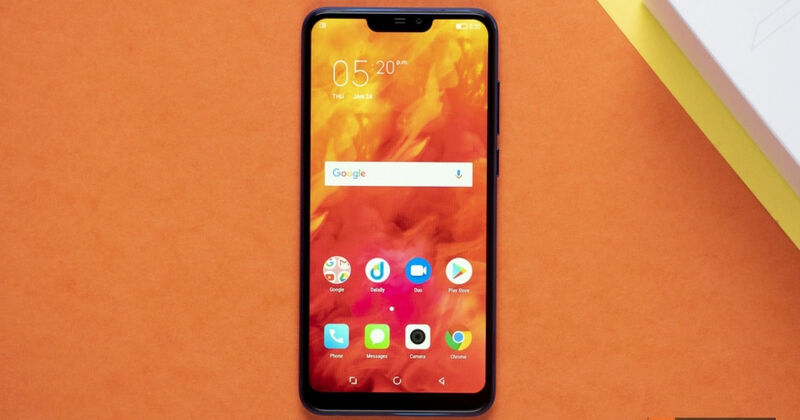 The indigenous handset maker Lava is the latest to hop aboard the bandwagon and the Z92 comes as its first-ever notch-toting smartphone. I managed to get my hands on the handset before launch, and here is what I could make of the Lava Z92 in the brief stint with it. 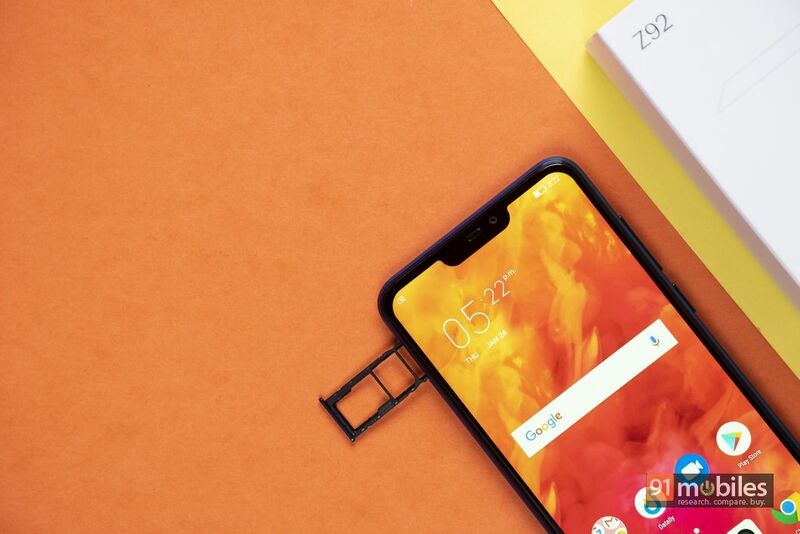 Coming to the packaging of the device, the Z92 comes in a white box with a sheath over it, featuring branding all around, phone side profile on the top forming a ‘Z’, and core specs listed on the bottom. Upon opening the box, you are greeted by the smartphone lying atop a cardboard envelope containing the clear plastic protective case and a screen protector. Below the tray, you will find the wall charger, micro-USB cable, SIM Ejector tool and a pair of in-ear headphones, in their respective compartments. Surprisingly, the company has not provided any documentation with the phone. The Lava Z92 itself is not just riding the hype train (by adopting the display notch) but looks the part as well. The smartphone has been fashioned from glossy polycarbonate giving it a look of a glass-cased phone. 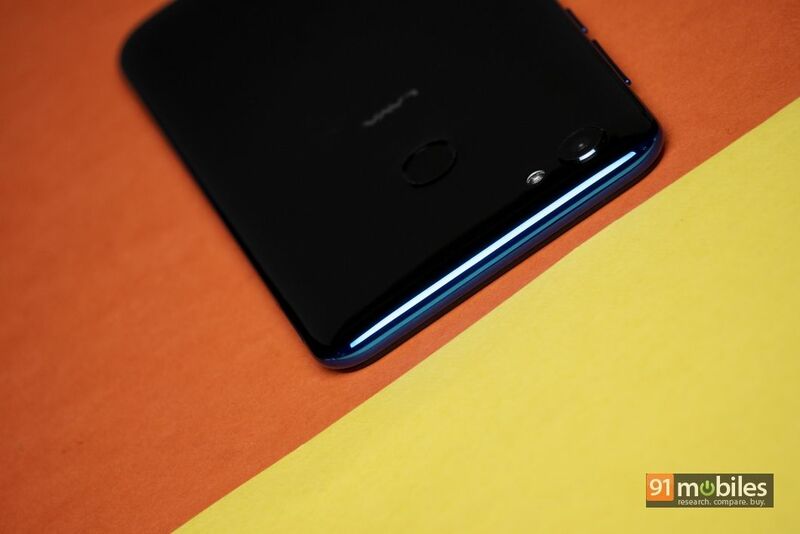 While the back panel flaunts a solid hue, the sides have a blue/purple gradient giving the Lava Z92 an accented edge all around, which is easy on the eyes. Thanks to the curved edges, the smartphone is very ergonomic and comfortable to hold. 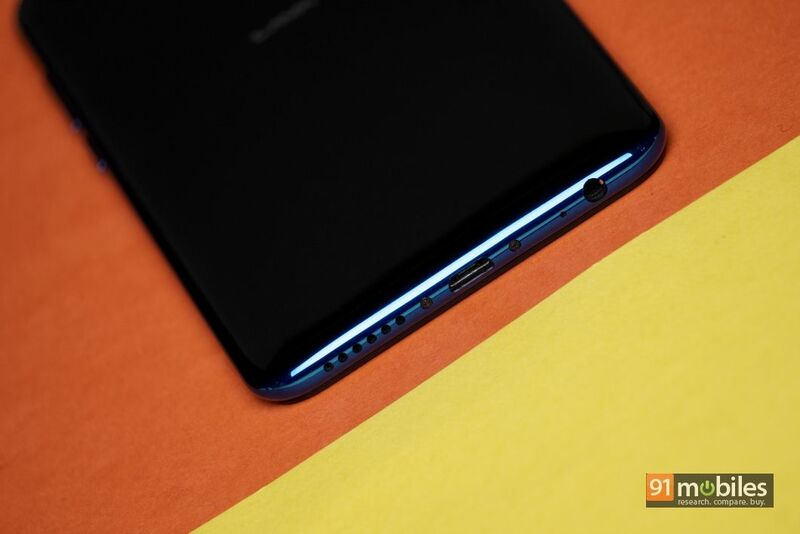 As for the placement of the ports and buttons, the 3.5mm audio jack, micro-USB port and loudspeaker grille are located on the bottom edge of the handset. You will find the power button and volume keys on the right, and SIM tray on the left side. 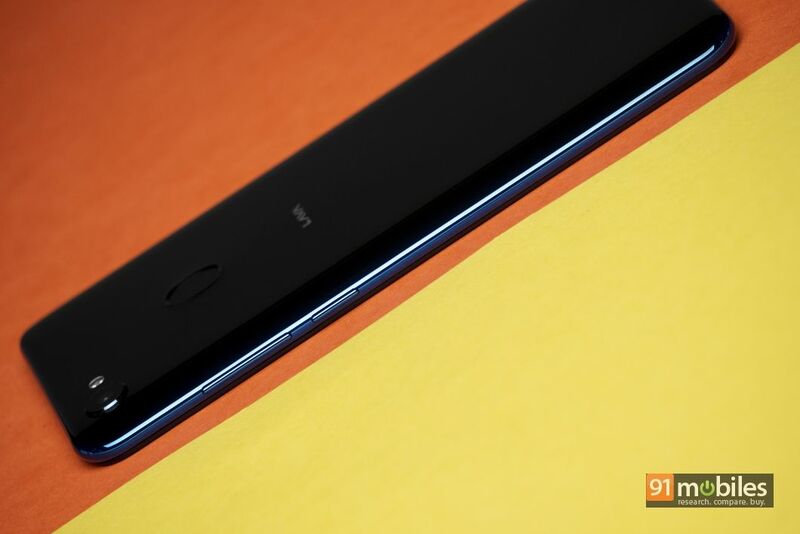 The SIM tray on the Lava Z92 has a dedicated slot for microSD card and a dual nano-SIM card holder. 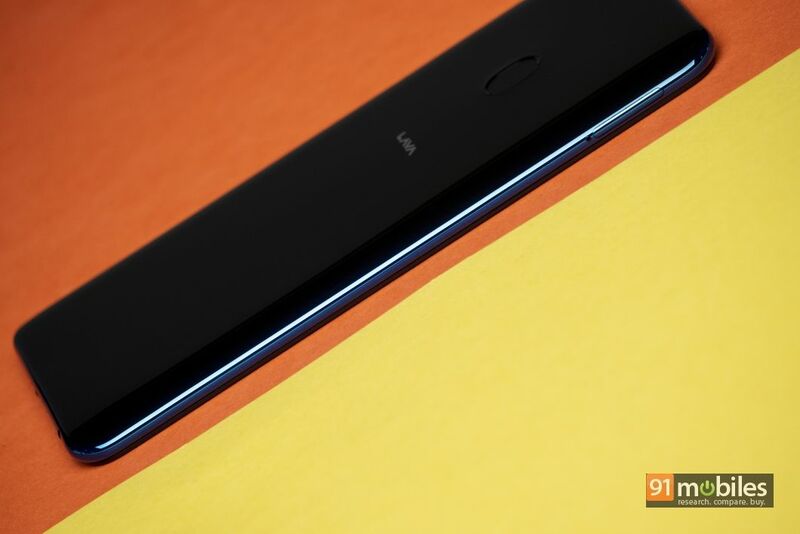 The rear panel is pretty minimalistic with a single camera module and LED flash in the top left corner, and an oblong fingerprint scanner with LAVA branding towards the centre. 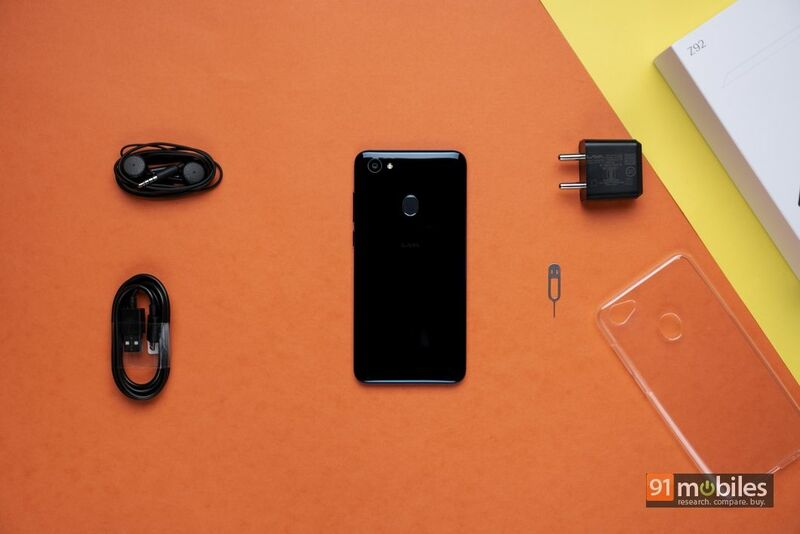 The Lava Z92 features a sizeable 6.22-inch display with 19:9 aspect ratio to accommodate the notch up top. 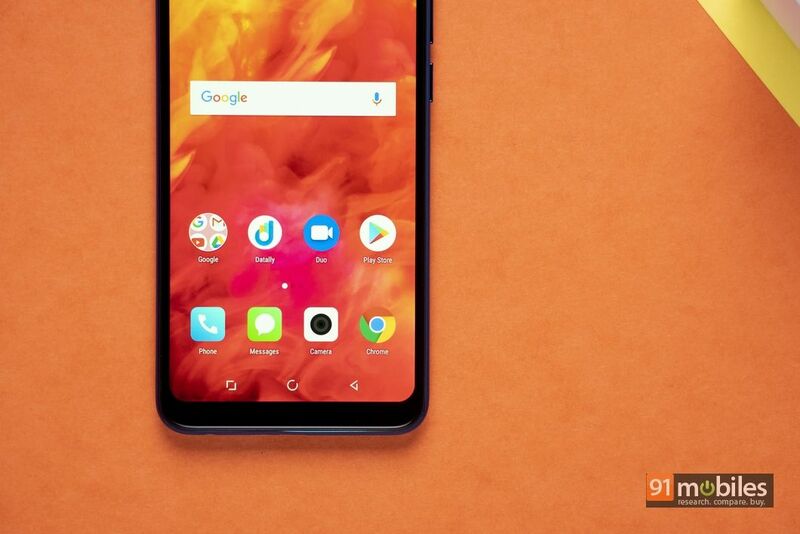 Speaking of which, while the display notch has wasted space as is expected from an affordable phone, it’s not as bad as other offerings in this segment. The cutout houses the sensor module, front camera and the earpiece. As for the display panel, it supports HD+ resolution and is protected by a layer of Corning Gorilla Glass 3. The screen is slightly on the warmer side but produces sharp text and vibrant colours. 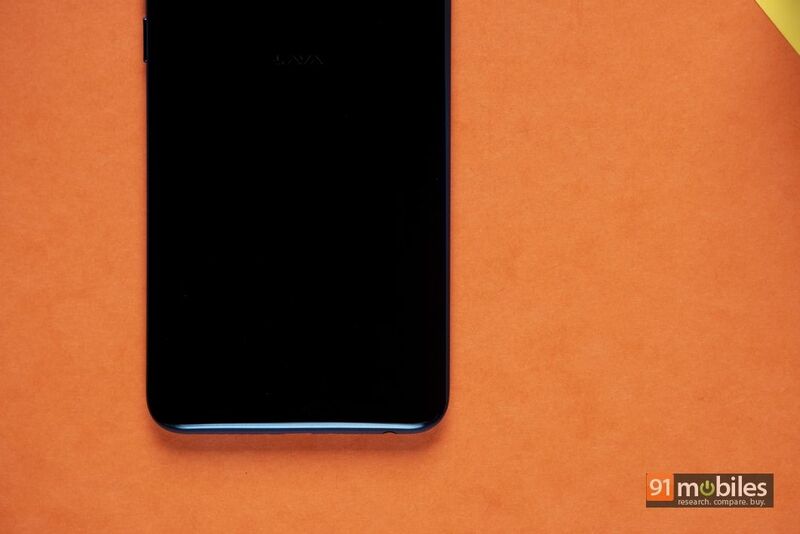 Lava has equipped the smartphone with features like Night Light, option to hide the notch, and adaptive brightness. The smartphone boots Android 8.1 Oreo with a custom interface garnished on the top. The software is mostly stock apart from the bloatware it comes with and the drawerless interface. Thankfully, most bloatware on the smartphone can be easily uninstalled to free up resources and ensure slightly better performance. As for the performance, the Z92 has a 2GHz octa-core MediaTek Helio P22 chipset ticking at its core, which is backed by 3-gigs of RAM. The onboard storage is 32GB, of which around 23GB is available to the user. The storage can be further expanded by another 256GB using a microSD card. 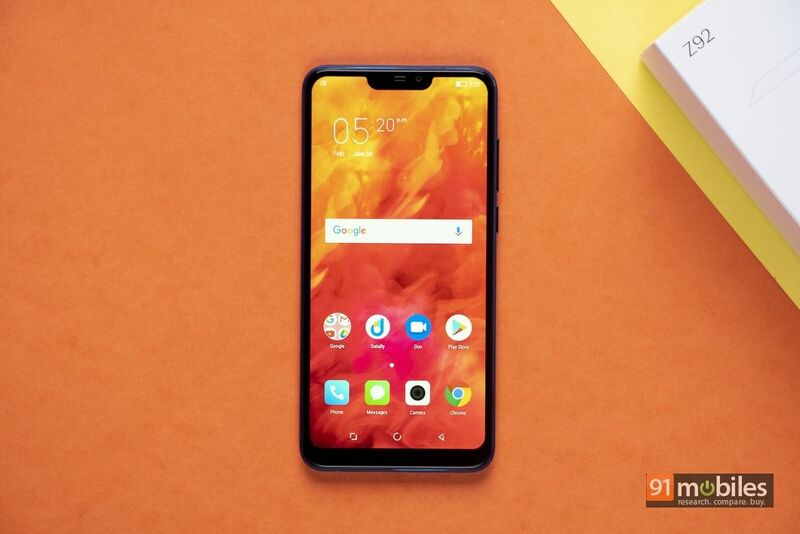 During my short stint with the Lava Z92, the phone didn’t break into sweat during basic usage and multitasking between apps like YouTube and the pre-installed games. 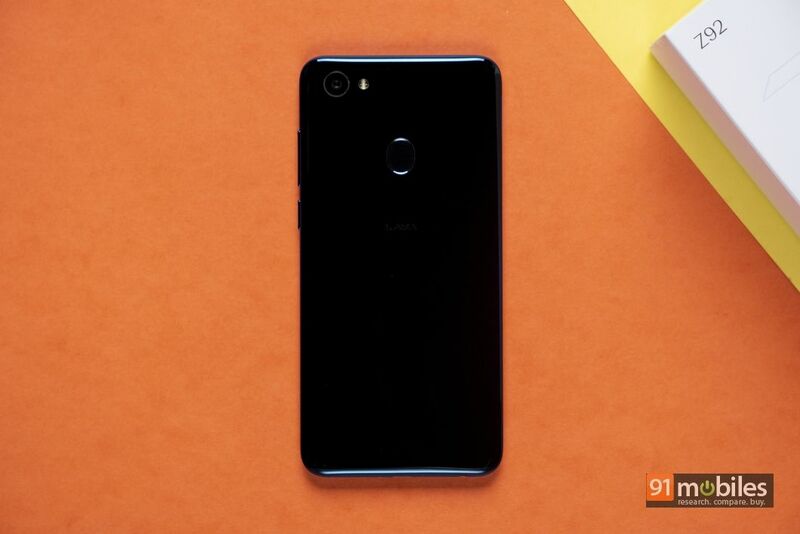 In the camera department, the Lava Z92 has been equipped with a 13-megapixel primary camera with dual LED flash on the back and an 8-megapixel selfie shooter. The camera app is loaded with features like studio, AR sticker, time-lapse, video beauty and live filters. While all other modes work as advertised, the Studio mode caught our attention as it’s almost identical to Apple’s portrait lighting mode on the iPhone. This mode offers Natural Light, Vibrant Light, Contour Light, Stage Light, Mono Light and Splash Light options. In the normal photo mode, the cameras (front and back) were able to capture images with good details and no glare, which is impressive. 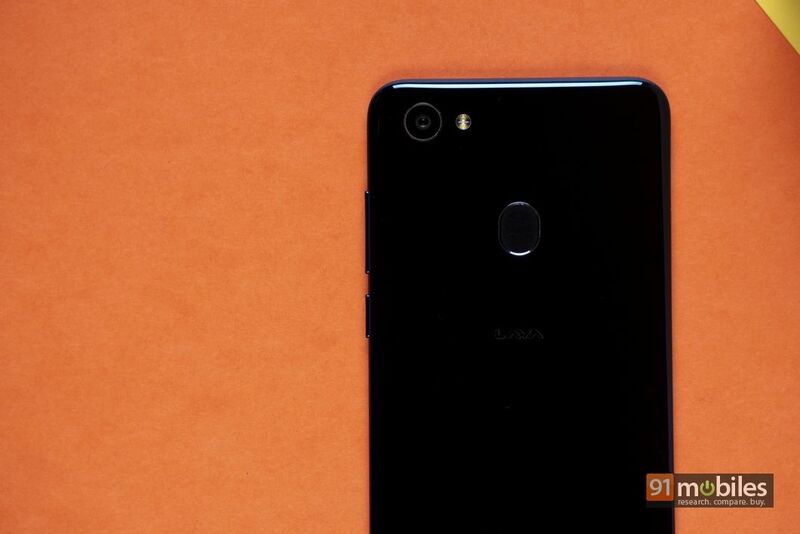 To summarise, the Lava Z92 seems like a solid offering, especially if it’s priced below Rs 10,000. 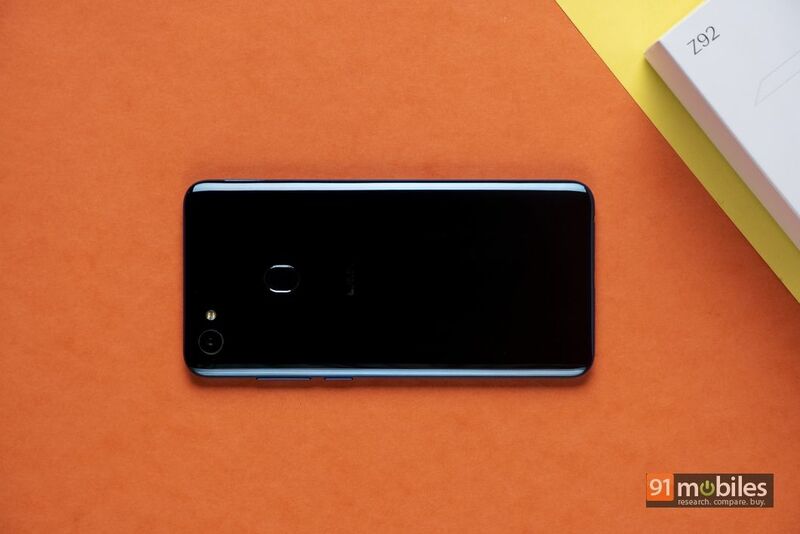 In fact, I will go on to say that the handset could be neck to neck with other strong contenders in this segment including the Realme 2 (review) and the Xiaomi Redmi 6 Pro (review). 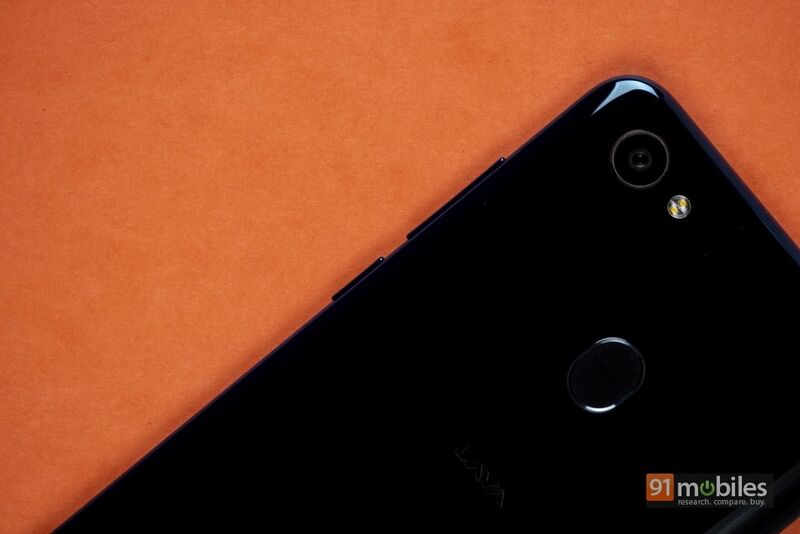 Lava is expected to launch the Z92 on January 28th.